R|House Design Build is full service design build company serving the Twin Cities and surrounding suburbs. We are a small company that is focused on bringing quality, simplicity, and efficiency back into the design build process. Our experienced designers and production team coordinate your entire project. This starts from our first conversation, through design, selections and throughout the build of a project. In 2014, Ryan Hemingson started R|House Design Build. After working in the industry for over 10 years, Ryan knew he could start up something that would not only be great, but inspiring. Ryan’s mission is to help his clients create a space that fits their unique lifestyle and bring it to life. You, the client, is our main priority at R|House Design Build. We structure everything around you. All meetings take place within the comfort of your own home and around your schedule. Transparency and communication are the main components to success in this industry. Ryan and his team recognize that this is a huge investment for you and your family. You get to see where all the numbers are coming from and we keep you updated throughout the entire build of your project. We buffer and protect our clients from the various stresses of remodeling, while making the process fun! We are easy to work with and keep your best interests in mind, whether your project is budget friendly or an impressive elaborate design scheme. Tiffany is an industry-leading Minneapolis interior designer for affluent commercial and residential design, with award-winning retail spaces in the Twin Cities. She has enchanted spaces with her whimsical personality and precise vision in national restaurants, clothing boutiques, and residences across the United States and France. She started her career as a child growing up on a farm in Wisconsin, where remodeling an old hunting shack at the age of twelve lead her to find her love for interior design. She now owns and operates a boutique design firm called Tiffany Hanken Design, formerly Opulent Interiors, in Minneapolis, Minnesota, where her focus is pursuing the most innovative products and resources to provide one-of-a-kind design for her clients. Best of HOUZZ 2014, 2015, 2016, 2017, 2018 & 2019 - Home furnishings retail store, interior design firm/studio and online shop. Classic design with a “fresh” twist is what sets Grace Hill apart. Bold color, modern prints and unexpected finishes gives us a unique and modern take on home furnishings. Award winning design firm and also 'Best of HOUZZ' for the last seven years! We specialize in providing professional, knowledgeable and honest design services whether you are building a new home or remodeling an existing home. At Che Bella Interiors, we provide beautiful solutions for open-minded clients like you, that are craving more function to fit a busy lifestyle. Through an organized, creative and fun design process we guide your project from concept to completion. Che Bella Interiors is a full-service interior design firm offering space planning, furniture art & accessories, new construction selections, remodeling, project management and more. Contact owner Tracy Hains today to get started with your project! Our skilled professionals, designers eye, hands on knowledge and sheer dedication are vital in meeting your needs for home renovations and remodeling. Our passion is helping Twin Cities residents achieve their dream home. We do projects from A-Z while coaching homeowners through the design process. We eliminate the stress, from the first conversation through construction. We help husbands and wives find the win-win. Our team has been working with families in the Minneapolis/St. Paul area for over 35 years. We have honed our process to make your experience a success. Our process begins by listening to your wants and needs and exploring the possibilities with you. There are no cookie cutter projects here. We present you with options, and within your budget parameters, discover the solutions for your family. We are experienced, creative, efficient, fast, and successful. 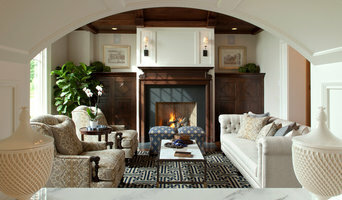 Laura Engen is among the Midwest’s most versatile and multi-talented interior designers. She’s an award-winning, full service designer and interior consultant who helps prominent professionals in the Twin Cities and around the country design and remodel, and select the finest furnishings for their luxury homes. She is a custom furniture specialist who draws from an extraordinary network of vendors and other resources at the prestigious International Market Square, where she is based. Laura is also a skilled interior consultant who acts as a liaison between her clients and builders. She helps homeowners save time, money and stress and make design decisions, which in turn helps builders complete projects on time and on budget. She also provides contract design services for other leading designers in the area. She has ten years experience creating interiors for more than 200 clients from coast to coast, but she concentrates on serving CEOs, financial executives, healthcare specialists, business owners, entrepreneurs, educators and other prominent professionals in and around Minneapolis and St. Paul. She works often with young families and much of her work comes from referrals. 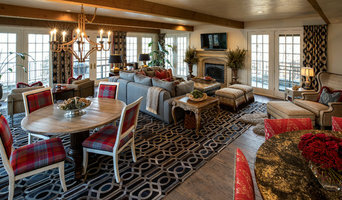 Laura Engen Interior Design offers a complete array of design services, ranging from project management and space planning to furniture selection and color consultation. The firm is backed by a team of some of the region’s foremost contractors, painters, tile and flooring specialists, cabinet makers, lighting experts and other professionals. Laura, whose work has been published nationwide, has won various People’s Choice and industry awards for her designs. She’s a member of the American Society of Interior Designers (ASID), the largest and longest established organization of design professionals, and she keeps current on design trends by taking ASID continuing education courses and attending national industry events. Prior to launching her own company, Laura spent six years working with a top luxury design firm that specialized in supplying custom furniture and designing multiple homes for high end clients nationwide. MA Peterson Designbuild, Inc. is a residential remodeler for high quality custom remodeling, design, interior decorating, residential landscaping, home additions, insurance reparations, small to large renovations and new custom homes. We’re a collaborative, creative team who work with you to draw out the space of your dreams, design it and bring it to life. Founded in 1979, MA Peterson provides you a unique and comprehensive approach to residential design build. We handle every stage and every detail of your project – from beginning to end. Fine homebuilder of distinctive custom homes since 1979 in Plymouth, Maple Grove, Anoka, North Oaks, Roseville, Mahtomedi, Minnetonka and Blaine Lakes. Best of HOUZZ award winner with two decades of design experience, Kristen brings her expertise, creativity, and attention to detail to every project to capture and realize her client’s visions while creating fun, functional, and timeless living environments. A classically trained designer with a BA in Interior Design, Kristen started her career at Gensler, a global design and architecture firm. She later founded K2 Interior Designs which offers full design services including remodeling, new construction, project management, and furniture selection for both residential and commercial projects. Working collaboratively with her clients to create innovative solutions is her goal for each project. Kristen uses her keen listening and problem solving skills to translate her clients ideas into fun and functional spaces. At the same time, her passion for design and sense of humor allow her to develop a rapport not only with her clients, but with architects, builders, and sub-contractors alike. Her attention to detail ensures that projects are well executed. 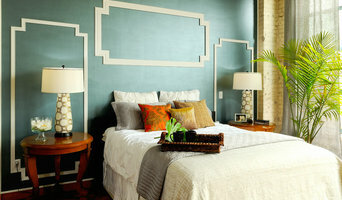 A few of her favorite design elements include color, layering of textures, and fabulous lighting. When she stops thinking of design solutions, she loves spending time with her 2 kids, crazy dog, and old horse, or puttering around in her garden. Renae Keller Interior Design, Inc.
Renae Keller is an award-winning, ASID certified interior designer in Minneapolis-St Paul, specializing in new construction and large remodels. Trusted by homebuilders, architects and homebuyers alike, Renae is knowing for creating an overall design vision that blends functionality and aesthetics, while keeping the details intertwined, and her customer’s style in clear focus. Renae has designed beautiful spaces since 1996, holding a Bachelor of Science in Interior Design. She is NCIDQ Certified and has Professional Membership status in ASID, passing rigorous acceptance standards while upholding her longheld reputation of experience and insatiable focus on the smallest of details. Always thinking several steps ahead, so her client does not have to, Renae’s friendly, calming presence and over twenty years experience moves even the most elegant projects forward in an approachable way. Renae Keller Interior Design is a full-service, boutique interior design firm that elevates the environments of our clients with classic, functional and timeless designs. We believe that details should be well-appointed. Pulling together carefully selected layers of materials, adorned with elements such as lighting, furniture, textiles, and art, RKID intertwines consistent reminders of what means the most to you in your home. Our mission is to design functional home interiors that bring everything our clients love about their lives into their home environments. RKID provides a warm, friendly and upscale experience. You will always feel safe to ask questions and be real about your expectations and hesitancies. We will act as well-versed liaisons between your family and your builder, as well as the myriad of construction industry professionals involved, while also serving as educators to you throughout the process. Please give us a call or write us an email to inquire about our services! We would be delighted to hear from you! Sneak Peek Design is an award-winning Interior Design + Architecture firm based in the Twin Cities. Sneak Peek Design focuses on creating distinctive interior environments for single room to whole home remodels, basement finishing, kitchen + bath remodels, new construction, furnishings, window treatments, and décor. Throughout the Sneak Peek Design process, we offer creative solutions, review plans, and fine tune every detail to give you the best possible outcome for your project. We work closely with you to design, and visualize (in 3D) how your new space will look and function. Imagine the excitement of "touring" your new kitchen, bathroom, or basement as it springs to life in three-dimensional color renderings. Today, there is no better way to understand, and have a feel for your project than to see it in 3D. You'll be better equipped to make informed decisions on a design that’s perfect for you, making sure that your dream space becomes a reality.